The Time & Temperature Sign is an excellent asset to enhance your public image. You will provide valuable community service while drawing attention to your location with eye-catching visual impact! 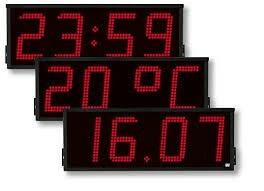 You can add scrolling display or other sign along with Time and temperature display.